CHICAGO: A 27-inch tall (69 cm) college student whose hobbies include dancing and cheerleading is the world's shortest woman, Guinness World Records said on Tuesday. Bridgette Jordan, 22, and her younger brother Brad, who measures 38 inches (98 cm) tall, were also named the "shortest living siblings" by the record-keeper. Brad Jordan, 20, enjoys karate, gymnastics, basketball and performing magic tricks. The siblings, who attend Kaskasia College in central Illinois, were both born with Majewski osteodysplastic primordial dwarfism type II. "I believe that everyone should be confident in themselves," Bridgette said in a statement. 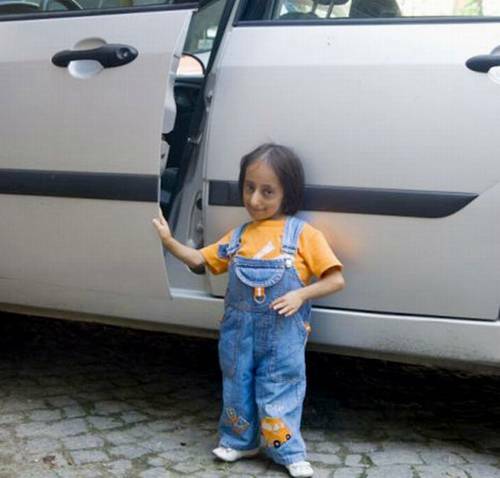 Previously, the shortest living woman was Elif Kocaman of Kadirli, Turkey, who is 28.5 inches (72 cm) tall. The record for shortest woman who ever lived was Pauline Musters, of the Netherlands, who measured 24 inches (61 cm) when she died from pneumonia at age 19 in 1895.